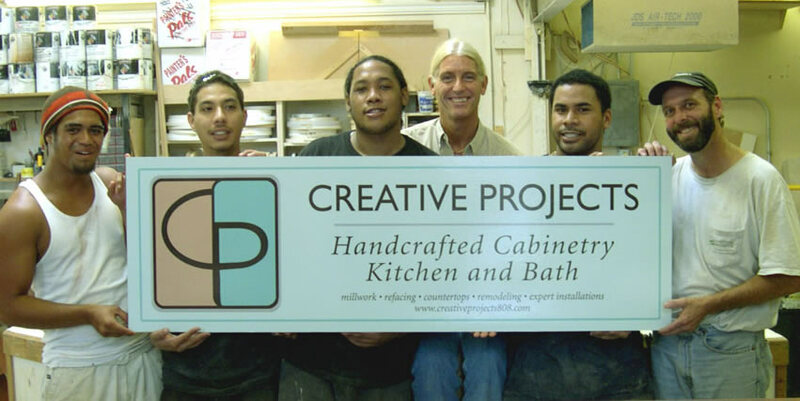 With over 30 years of experience, Creative Projects has designed, manufactured, and installed custom woodworking products throughout Hawaii. The secret to our success is simple; we genuinely care about customer satisfaction and go to great lengths to achieve it. To us, listening is not an option; it is a requirement. 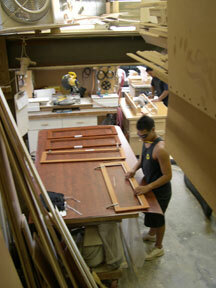 Our philosophy is to merge old world craftsmanship with the latest trends in materials, finishes, and accessories. We believe that a hands-on approach is the best way to ensure the quality you deserve which is why every job is assigned a supervisor. While some companies talk about service, we are busy providing it from beginning to end. Whether upgrading or starting from scratch, we can provide you the full service to get the job done right and on time. Our showroom is located in the front of our manufacturing facilities and is open by appointment only, saving the expense of sales personnel or advertising. Products you purchase from us are factory direct without any middleman to inflate the costs. We are here to service our clients and your satisfaction is our highest priority. Find a map to our showroom on our contact page.